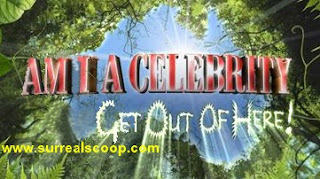 In another blow to award winning* broadcaster ITV it has emerged that the entire first week’s filming of the new series of "I’m a Celebrity, get me out of here!" has been lost due to an extremely embarrassing error by producers. "We are so very sorry for the dreadful mix-up, and rest assured that it was a mistake that was easy to make and at no point, this time, were we trying to defraud anyone." explained Chief Executive, Sir Gerald Billingsworth. "The irony is that our efforts to be honest may have caused the problem." The programme’s producers explained that since it is another vehicle for Ant and Dec they have been forced to devote so much time to ensure that there are no further irregularities with phone vote revenues that they failed to check the results of each day’s filming. "For the last week we have inadvertently been showing footage of the staff from the five-star hotel next door to the filming location," explained Sir Gerald. "It was a risk we should have identified up-front, given that none of the cameramen knew any of the celebrities involved in the programme." The problem of identification of the supposed ‘celebrities’ was apparently compounded by the real footage also being composed of hours of people moaning while cooking and doing the laundry. "I would like to emphasise that our team was focussed on preventing a repeat of previous frauds and was at no time distracted by Ant McPartlin’s hairline," said Sir Gerald Billingsworth. To remedy the situation the broadcaster announced that it would be adding a new catch-up programme, which viewers can automatically miss via ITV1-1, called "Am I a celebrity? Get out of here!" * ITV recently picked up the award for "Most piss-poor waste of bandwidth, 2007" for its entire ITV1 output.